The San Jose Police Department chief made the first official changes to what he called an outdated policy. Robert Handa reports. 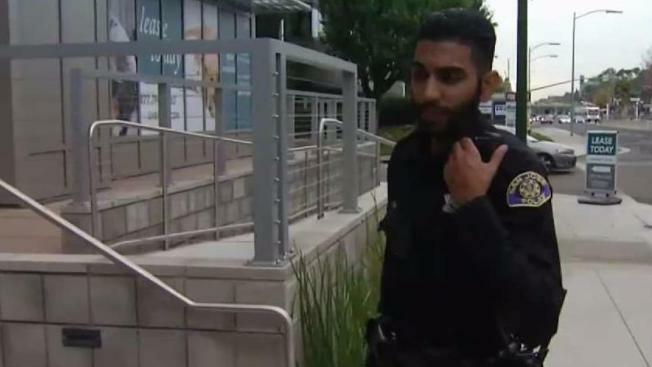 The San Jose Police Department policy has been around for as long as anyone can remember: beards, goatees or heavy facial hair on cops is forbidden. The goal? Aim to "maintain public respect." On Monday, the police chief made the first official changes to what he called an outdated policy. SJPD Chief Eddie Garcia also accommodated an officer who needed a beard for his religious wedding. San Jose officer Simratpal Brar is about to get married in a traditional Sikh wedding, which requires the groom wear a full beard. "The religion is very straightforward," Brar said. "My family is very traditional, and so is my wife's, my fiancee's family." To accommodate the wedding requirements, Brar requested a transfer out of patrol to a unit where the policy forbidding beards and goatees and excessive facial hair would not apply. But Garcia said the department was already working on a religious experiment: to create a policy that encouraged diversity for the community image and recruiting. "I don't know if there's a better policy to put out than something like this -- to show how inclusive we are as a police department," Garcia said. Brar said he was reluctant to go public about his concerns, and is happy and relieved the department felt the same way as he did about the policy. "I feel very proud. I take pride in my faith and I take great pride in my uniform and dispatch," Brar said. "So I'm very honored to be here talking to you about this and have it unfold the way it is."